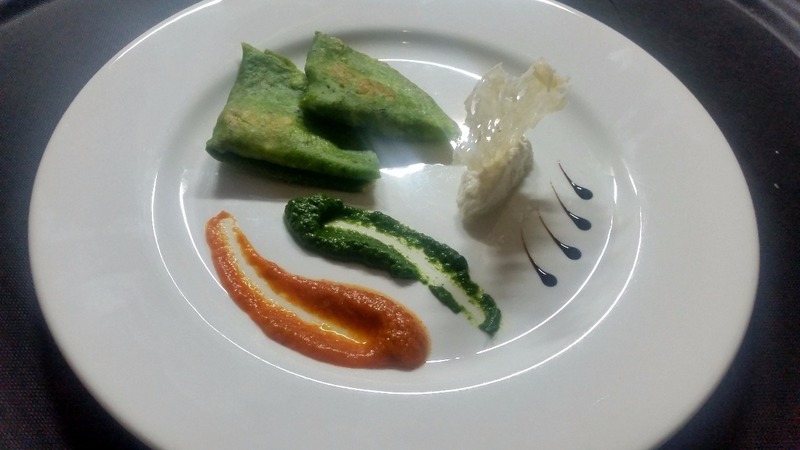 The ongoing Independence Day promotion at The Taj Hotels brings back another dimension of this remembrance, this time through food. The iconic Taj Mahal Hotel, near Gateway of India in Mumbai, had organized a special function at its restaurant Shamiana on 14th August evening to usher in free India. 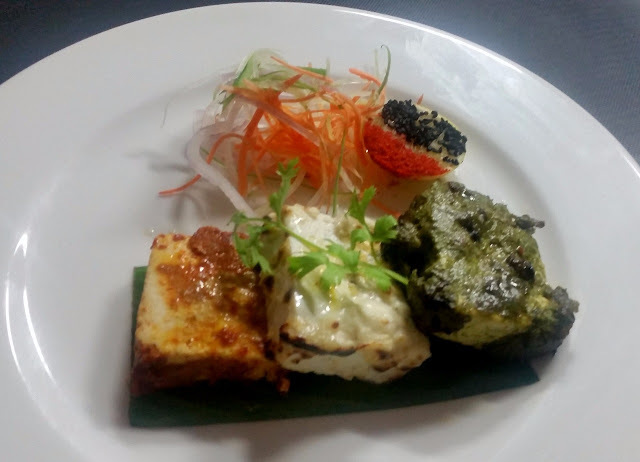 To celebrate seventy years of Indian independence, the menu served on that night is being recreated in a festival spanning for about a week, in six different Taj properties all over the country. 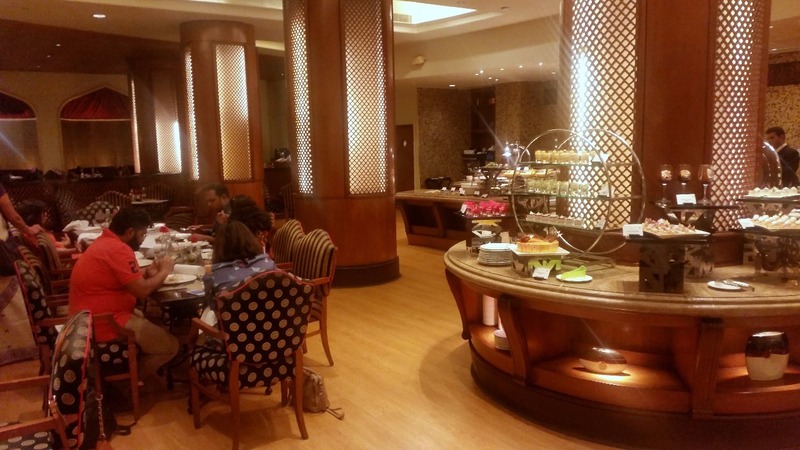 At a preview at Encounters, the lobby-level restaurant at Taj Krishna in Hyderabad, I was fortunate to try out the set menu which was served on the day when India had its midnight tryst with destiny. During the dinner, we had a long chat with Executive Chef Nitin Mathur, who told us that he enjoyed recreating the dishes. 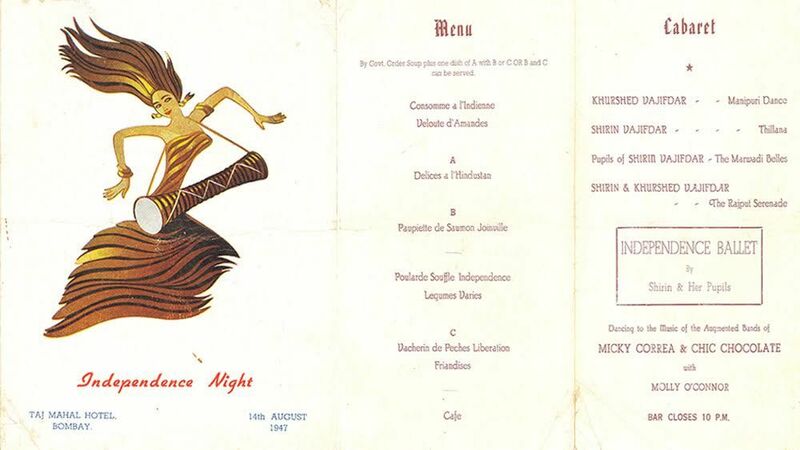 Only the menu was available in the archives and recipes were long lost, so the team of chefs had to develop the dishes looking at only the dish names. Most of the items served on the day were French, except Delices A’L Hindustan which was an Indian dish. Also, there were no vegetarian items on the original menu, and given the vegetarian clientele here, a couple of main courses were added for them. In all, the set menu has one soup, a starter, a choice of main courses and a dessert. The menu had two choices for the soup. Consomme Al Indienne was a chicken clear soup that I tried, which was cardamom flavoured. The soup was poured on neatly arranged carrots, chicken and beans providing an interesting combination resembling the Indian tricolour. A point to note is that quite a few of the dishes had terms like “Indienne”, “Independence”, “Hindustan” and “Liberation” in their names in tune with the mood. The other soup was called Veloute De Amandes, a creamy almond based thicker soup. Delices A’L Hindustan was a cottage cheese dish. Three separate paneer steaks soaked in saffron, white and green marinades and cooked over charcoal were stylishly presented. We had to choose one of the four main courses. I am a fan of salmon, so had no hesitation in opting for Paupiette De Saumon Joinville. 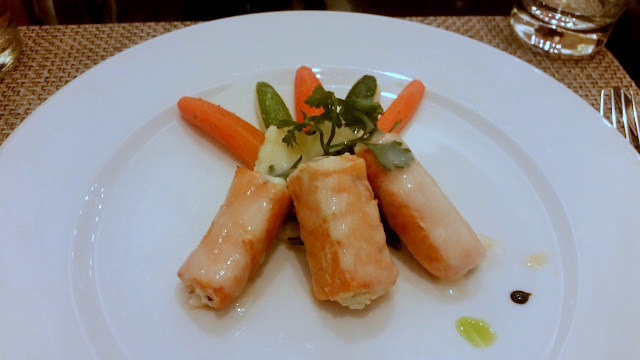 The salmon rolls were served with mashed potatoes and sautéed vegetables. Everything in the dish was optimal, from the good quality salmon to the taste enhancing fish flavoured sauce. 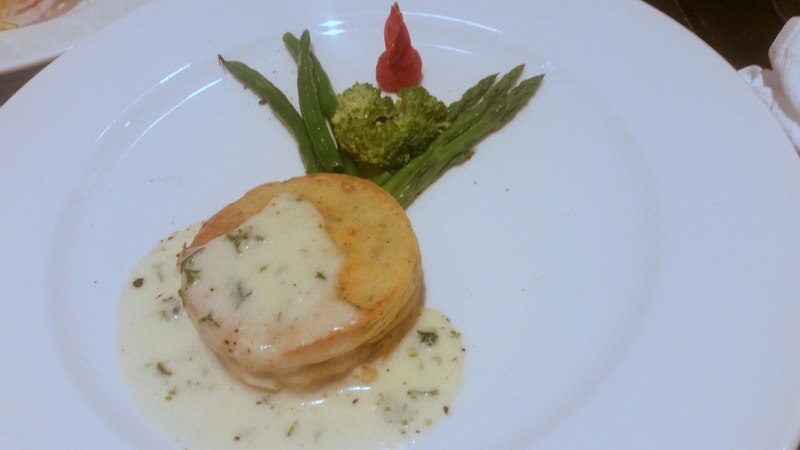 The other non-vegetarian main course was Poularde Souffle Independence, which had chicken soufflé in lemon parsley sauce served with steamed vegetables. My fellow diners who tried this dish were quite impressed. 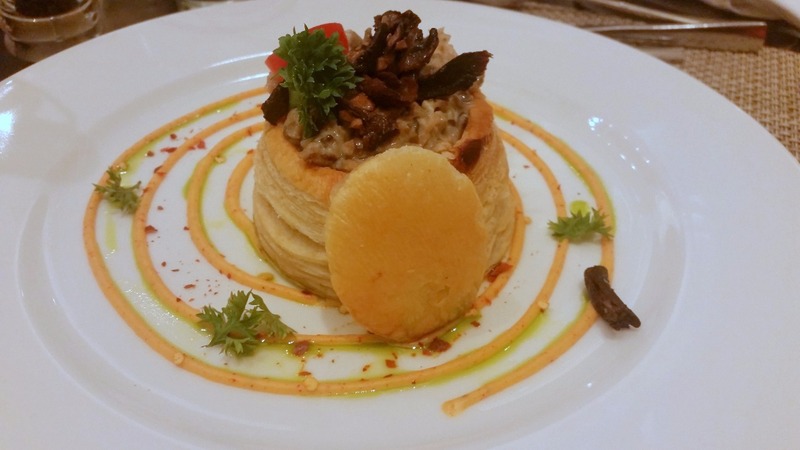 Options for the vegetarians included Champignon Vol-Au-Vent, a brilliant dish of puff pastry stuffed with truffle and wild mushrooms in paprika cheese sauce. I tasted a little and was overwhelmed with the variety of flavours in the dish, ranging from the savoury puff to the mushroom cheese combination inside. Crepes Aux Epinards the other vegetarian item was a fusion dish, with spinach crepes filled with makhani sauce. 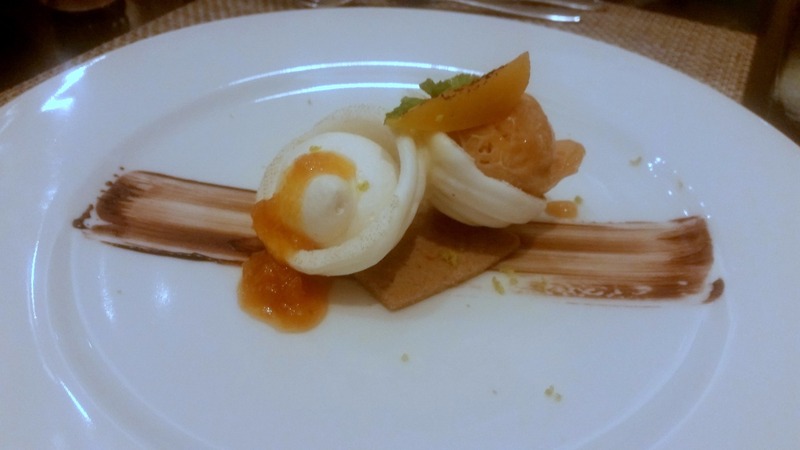 The endgame of the menu was Vacherin De Peches Liberation, a peach infused apricot sorbet. The dessert was served attractively in half domes. The sorbet had that ideal calming effect on us after a sensational dinner. We have no way to find out how close these items were to the vintage menu served on that day, but the dishes stood out in terms of styling, flavours as well as taste in their own right. Kudos to The Taj Hotels, to organize such a fitting promotion to celebrate 70 years of free India. 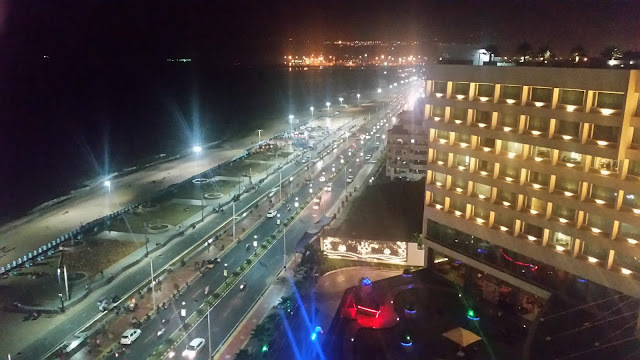 On Independence eve, the façade of the hotel will be lit up in the colours of the national flag. Trying out the special menu on that day will be an ideal way of celebrating this joyous occasion. The special menu will be available until 15th August, at an apt price of Rs 1947 plus taxes.